In most organizations, executive don't pay attention to culture. Instead, their focus is on results. The reality is, culture matters! Culture is the driving force is the 21st Century. This webinar will provide a way of thinking about the impact of culture and the positive results for your organization with those changed behaviors. You will learn a framework and the tools to intentionally shape your organization's culture to drive results. Where's the recipe book for creating a great culture? Is Google's onsite haircuts, napping pods, and free, massive quantities of food the formula more companies should adopt? What about Zappos - "We will pay you to leave if you our culture isn't right for you" policy? How much does Warby Parker spend to have a dedicated team making sure there's something fun for co-workers to do on a regular basis? And, do they really see the financial rewards for that kind of non-work related expenditures? Can companies model what Southwest Airlines, REI or Twitter has done to foster a common mission and turn their employees into raving fans dedicated to working passionately for the business and customers? There's a reason, beyond good business ideas, that these companies are crazily successful. Organizations that put their people first and pay attention to not only the basic needs of their employees (a living wage, safe working conditions, appropriate benefits and work-schedules) will be met with sustainability, employee retention and engagement, and on average a 682% revenue growth OVER their competitors. That's right! 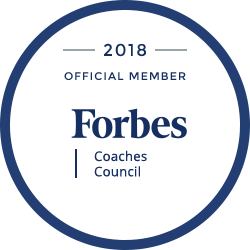 According to a research study (Corporate Culture and Performance, Kotter and Heskett), firms that have a Performance Enhancing Culture experience a 682% revenue growth over firms without a performance enhancing culture. Fortunately, the research is in and many organizations are committed to evolving their leadership style in support of a healthy engaged culture. While it may take significant focus and energy to get the culture train moving in the right direction, companies that make the effort are handsomely rewarded. 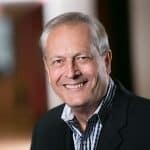 "Steve Panowyk brings more than 25 years of experience of strategy creation andexecution, leading organizational change and leadership development. Steve is purpose-driven “to equip and enable leaders, teams and organizations to reach even higher levels of performance and results”. Steve has over 15 years of business experience with P&L accountability holding leadership positions in general management, finance sales and marketing; primarily in strategic growth businesses. He is an accomplished guest speaker for: power of storytelling in business; leadership change communications; and, leading culture evolution in the 21st C; elevating the patient/customer experience."